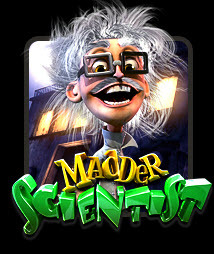 Overview: Dr. Walter Prescott has returned from his "vacation" at the asylum and he's brought his crazy Turn-o-Gold serum with him. 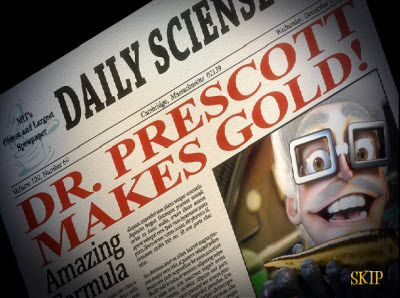 No one knows how or why it works, but the good doctor is back in the laboratory and turning even more things to gold. 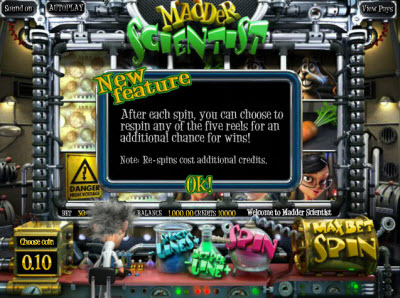 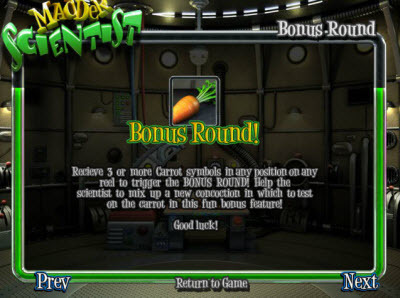 Are you crazy enough to join Dr. Prescott as he takes an even madder journey towards riches in Madder Scientist? 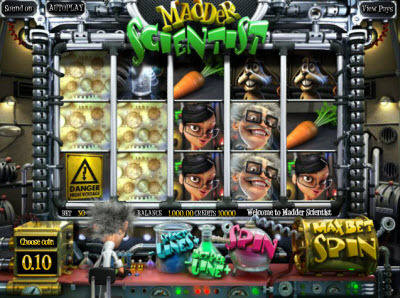 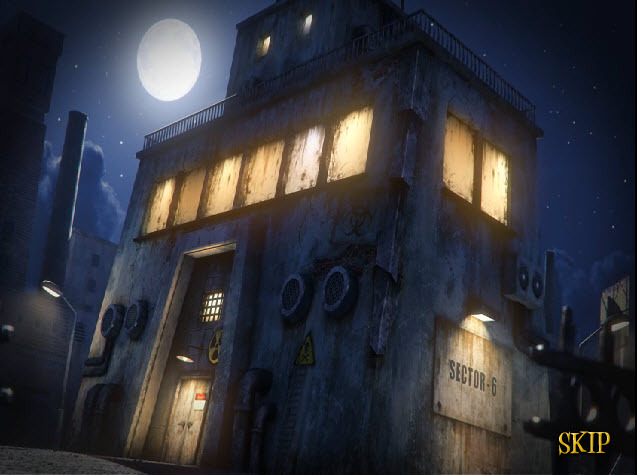 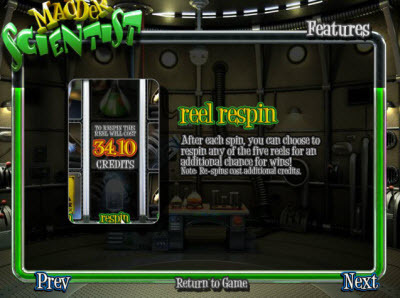 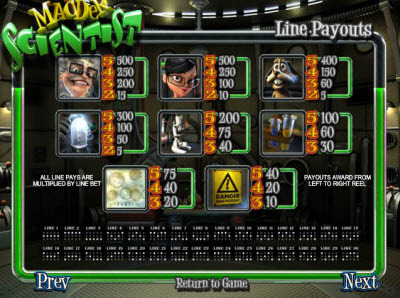 Similar Slots: If you like Madder Scientist, you might like these other BetSoft Gaming slots: Arrival, Black Gold, It Came From... 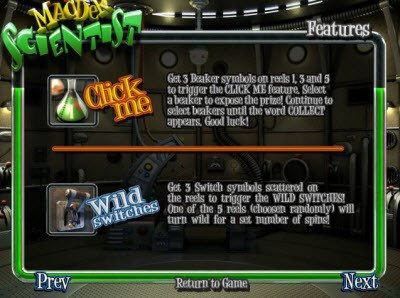 Venus!, Mad Scientist, The Exterminator.